That exchange led to a very good conversation with the Elders. An awkward instant resulted in a graceful moment. In my moment of vulnerability, my hosts allowed themselves to lower their natural defenses. We were able to recognize the humanity in one another. 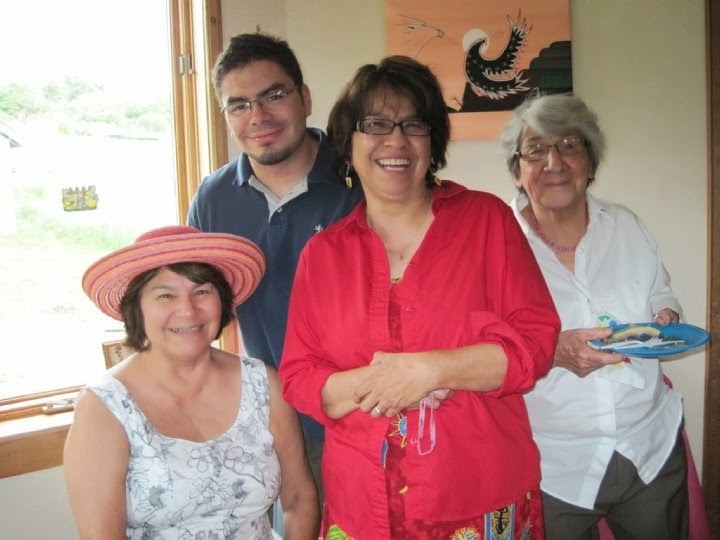 I was no longer the Jesuit visiting the Mi'kmaq Elders; we were normal people sitting around the table, having a conversation on a Sunday morning. We talked about the celebration of the arrival of the Jesuits in Canada, and about the challenges of being Aboriginal and Catholic. We also discussed how all the problems that afflict Aboriginals in Canada today reinforce one another. The Elders agreed that in order to break the circle of disadvantage and suffering – where domestic violence results in educational failure, which leads to poverty, bad health and back to violence – these problems cannot be tackled in a piecemeal manner. They must be tackled together. During that conversation, some of the Elders told me that the greatest challenge Aboriginals in Canada face today is the apathy of some non-aboriginal Canadians. One of them described what was like to live in a sort of oblivion. She said that the apathy of some of her fellow Canadians towards the suffering of Aboriginals in Canada led her to resentment, low self-esteem, and powerlessness. I was very grateful for the honesty of the Elders; for the opportunity to laugh and to drink tea with them. More than two years after my visit to Eskasoni, I am convinced that apathy towards Aboriginals in Canada remains their greatest challenge. I also know that hope is emerging in the lives of so many of our Aboriginal brothers and sisters. They continue to suffer after years of oppression, mismanagement, colonization, mistrust, the residential school system, and other problems. Yet, they strive to improve their lives while rediscovering their traditional values and their self-worth. Their struggle is our struggle; as we struggle together, we grow in friendship. During my time living with the Anishinabe people in the Wikwemikong Unceded Indian Reserve in 2010, I learned a powerful lesson that informs my attitude towards and my friendship with Native people: In some of the members of his Mystical Body, Jesus is Native. I cannot truly love Jesus while I ignore the suffering of some of the members of his Mystical Body. I don't truly love God while I forsake his First Nations, Metis and Inuit children. Our apathy towards Natives does not merely occur because our attitudes are hardening on Aboriginal issues. Our apathy and unresponsiveness towards the plight of Aboriginals in Canada stem from the hardening of our hearts. In order to undo the cycles of injustice, we need new hearts; hearts aflame with compassion and a desire for reconciliation. Truth and reconciliation should not only be a commission created by the Canadian government, or a goal adopted by some Canadian institutions. Truth and reconciliation are the best ways to cast aside our apathetic attitudes, and to let the Lord renew our hardened hearts. This type of change cannot happen from the comfort and safety of our own homes. We need to go out to meet our Aboriginal brothers and sisters, to hear their stories, and to let the Lord transform our hearts in this encounter. We need to encounter God in them, not because we have much to teach or to give them, but because they have much to teach us. Together, we heal, rebuild, and move forward. Through cooperation, we get past the “us and them” mentality that allows inequity to go on. As human beings, we are called to recognize the humanity of our Aboriginal brothers and sisters, and to move away from apathy together in solidarity. As Christians, we are called to build the bridges that brings us all together, for Christ is our Bridge. Change begins when we choose to face our fears, resentments, apathy and mistrust as we think of the current situation of Aboriginals in Canada. Truth is discovered when we encounter Christ who manifests himself in our Aboriginal brothers and sisters, and when we hear their stories. Reconciliation comes about when our wounded hearts let down their defenses, and we allow ourselves to create friendships that witness to faith, justice, and service. This journey of healing and renewal of our hearts is not easy, but there is no need to over-complicate it. Justice can originate from something as simple as a conversation over a cup of tea. Just make sure you hold the cup with both hands.